Super spacious newer construction home for rent in East Lake! Downstairs has an open living room, dining room and huge eat-in kitchen with pantry. Bedrooms are upstairs and offer lots of closet space. The master suite features dual closets and a jetted tub in the bath. Lots of outdoor space for entertaining: 2 porches, a deck and a covered patio! Fully fenced backyard with detached garage/workshop - plenty of storage upstairs. 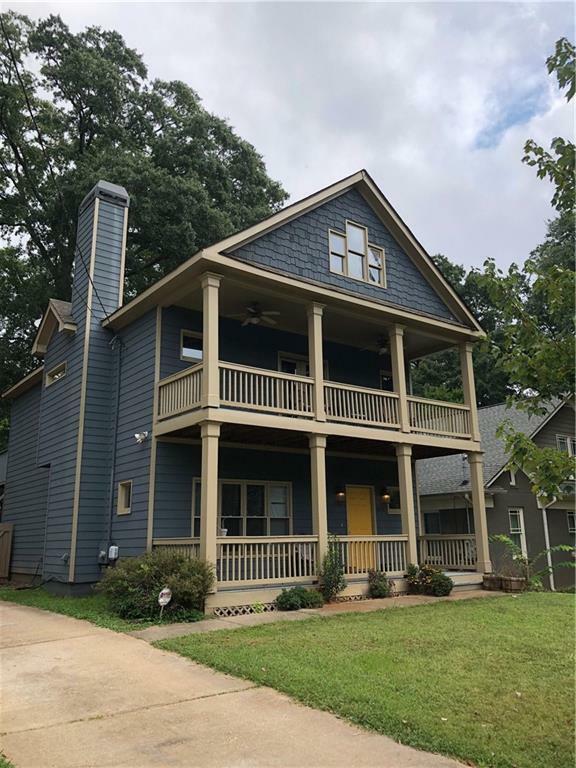 Excellent location, close to Oakhurst, Kirkwood, downtown Decatur, I-20. Walk 2 blocks to restaurants/bars! Directions: From Downtown Atlanta, Take I-20 To Glenwood Ave And Turn Left. Turn Left Onto 2nd Ave, Right On Hosea L Williams. Home Will Be On Left.